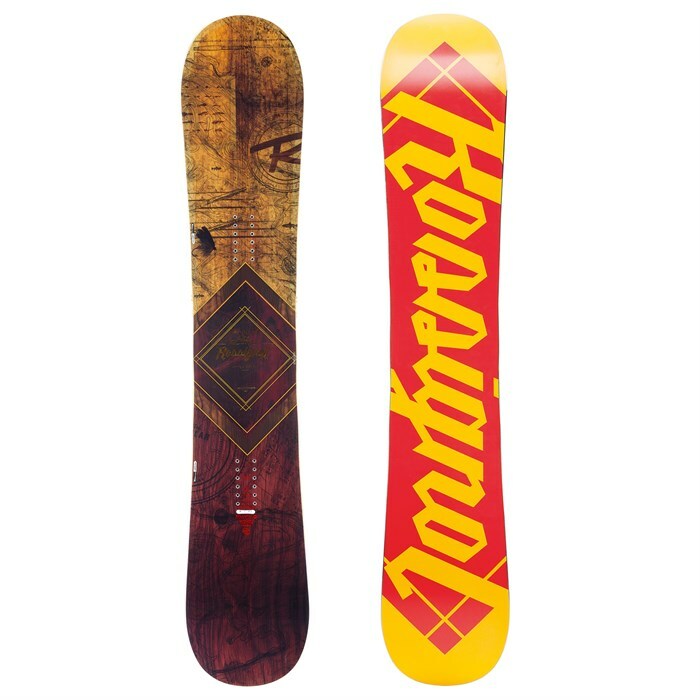 The One's burly little brother, the Rossignol Templar Magtek Snowboard had big boots to fill for the 2017 season -- but with its sneakily fun, slightly softer shape the Templar definitely delivers the goods. Rossi's blend of AmpTek All-Mountain Rocker and Magne Traction 5S creates an insane platform for progression, bringing confidence enhancing stability and maximum edge hold through the crud plus ample float in fresh snow. A directional twin shape plus radcut that's the perfect blend of soft for easier turn initiation, and stiff for stability at high speeds means the Rossignol Templar Magtek Snowboard will have you crushing the mountain with the mischievous smile only a younger sibling could inspire. AmpTek All-Mountain Rocker  AmpTek All-Mountain features softer tips and a stiffer waist with 40% camber between the feet for powerful edge grip and stability, and 60% rocker at the tip and tail and forgiveness for effortless freeride versatility. Flex Rating: 6 (1 Soft - 10 Stiff)  Medium flex for all-mountain support on varying features. Directional All-Mountain  A directional flex, stiff under the back foot for control, softer under the foot for easier turn initiation, and stiffer through the waist for stability at high speed. Directional Twin  A directional twin shape is ideal for snowboarders who ride the entire mountain. The nose is just a tad longer than the tail. The design is versatile enough for freestyle, with improved flotation and faster turning in the powder. Radcut  A traditional sidecut between the inserts fuses with multiple reverse sidecuts toward the tip and tail, providing real time sidecut adjustment to the ride, ie. longer when faster, shorter when slower, and delivering the perfect cut at all times. Radcut is offered in multiple versions, each tailored for individual riding styles. More aggressive sidecut blends deliver quicker, livelier turns, while smoother sidecuts offer a more fluid, relaxed ride. Wood 6420  A single type of wood, vertically laminated to give you durability and comfort without breaking the bank. ABS Sidewalls  Offered as walls or built in cores, ABS provides enhanced durability while keeping the core safe from moisture. Die-Cut Base  Base color displayed may not be available. Base colors may vary. Magtek  Magne-Traction edges smash-banged with AmpTek rocker. You get better edge hold, more control, and greater performance anywhere. Magne-Traction 5S  Snowboarding's premium edge hold technology maximizes edge grip by utilizing a serrated edge design. Standard Magne-Traction features 7 serrations whereas 5S has 5. With 2 radiuses directly at the outside of the feet and 3 in between the bindings, riders get a catch-free, very forgiving ride with ample edge control.